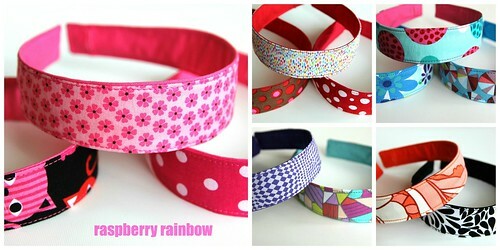 Raspberry Rainbow: Fabric Headband Covers go to Market. Fabric Headband Covers go to Market. All ready to go to market are my fabric headband covers. They are removable, interchangeable and best of all, washable. They are made with a printed fabric on the top and a solid colour fabric on the bottom. 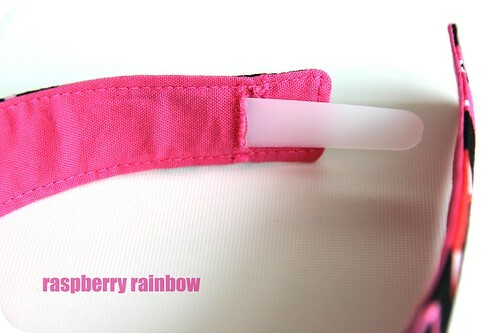 There is an opening to put the plastic head band in, as shown in the photo below. They are quick and easy to change. Wear a different one every day to match your mood or outfit. Or if you are 4 years old like my Zoe, change it a few times during the day, just because you can. They are now available in my etsy shop in a 4 pack. 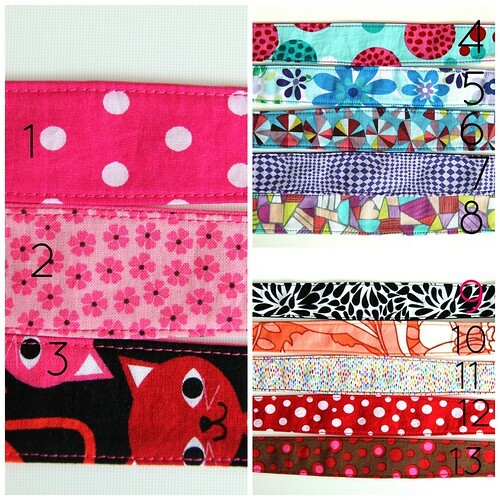 You choose which 4 fabric covers you would like and one plastic headband is included. The 13 different fabrics to choose from are below. If you are after a different colour, please ask. If you are in Australia, I am happy to accept payment via bank deposit. Email me for details, then you can pay in Australian dollars and are not effected by the fluctuating exchange rate. (I'll email you the amount, I now have an Australian price list to make it easier). Felt Squishies go to Market. Hair Bobbles go to Market. Wooden Beaded Necklaces go to Market.